When Lauren Jones and her husband purchased a beat-up 2010 Keystone Cougar Camper, it was almost beyond repair. 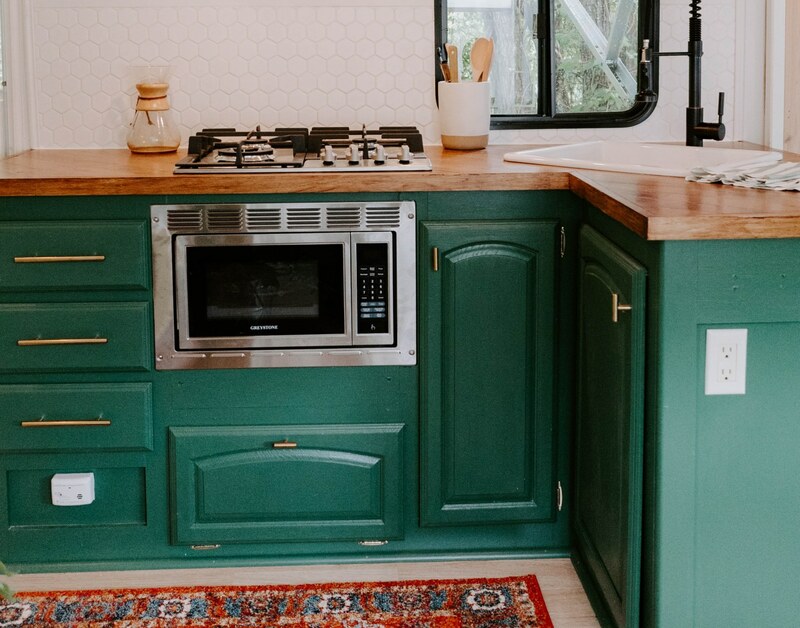 But the ambitious couple put on their DIY hats and painstakingly renovated the old beast into the Cougar Den – a gorgeous, light-filled tiny home on wheels with a shockingly sophisticated interior design. 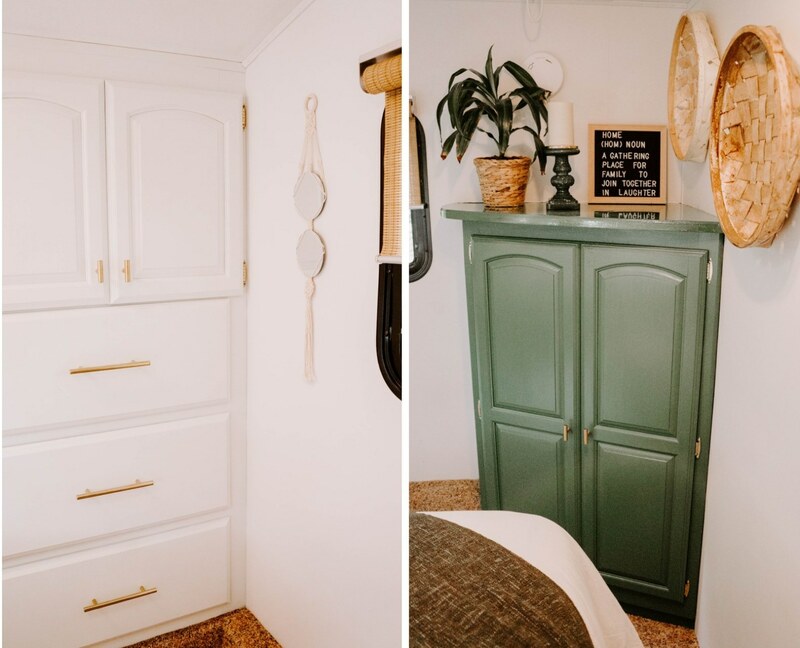 The 300-square-foot tiny home is a perfect example of how it is possible to carry out a DIY camper renovation without breaking the bank. Doing most of the work by themselves, the couple spent approximately $6,000 on the entire project. They are now selling the Cougar Den for $35,000. The interior design of the Cougar Den is bright and airy. Natural light floods the tiny house’s interior space, which was painted a calming white. The budding designers created a few accent walls using cedar shiplap and wallpaper. The light-hued hardwood flooring also enhances the tiny home’s clean look. One of the biggest renovation projects was the kitchen. The original kitchenette was old and outdated, so the couple removed almost all of the cabinetry and installed open shelving instead. A new green color, along with a white hexagon-tiled backsplash and gold accents, creates a contemporary yet welcoming design. A running theme throughout the renovation was to use every inch of space efficiently. 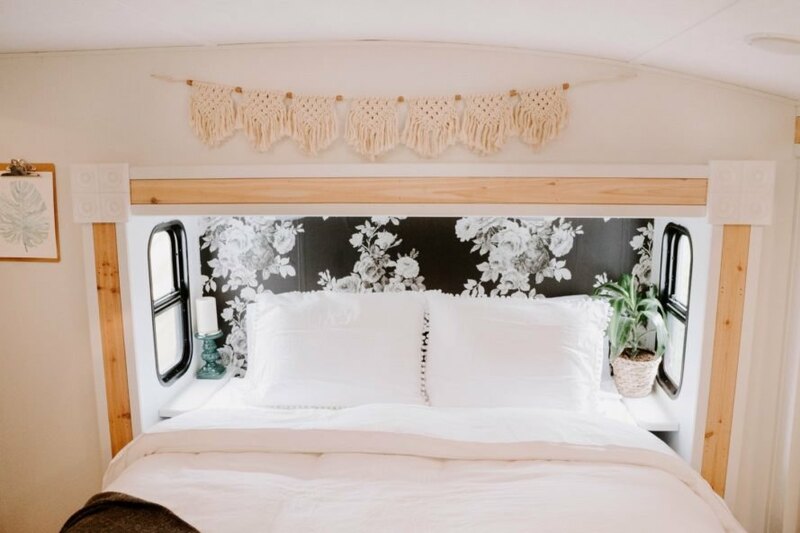 When it came to the camper’s bedroom, the couple redid the space entirely to make room for a queen-sized bed and plenty of closet space. They then replaced a slide-out entertainment center with bunk beds for guests. They also added storage underneath the base of the beds. 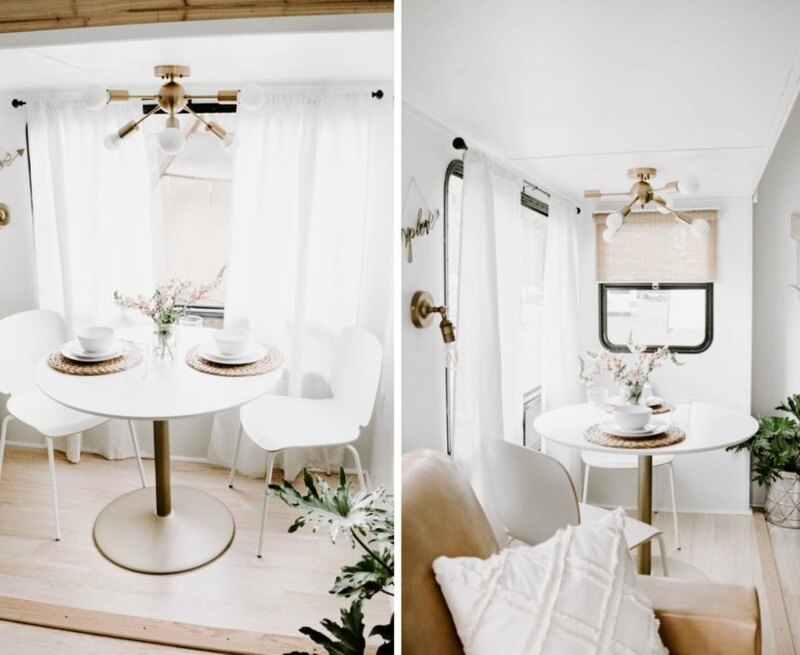 However, without a doubt, the heart of this tiny camper home is the living area. 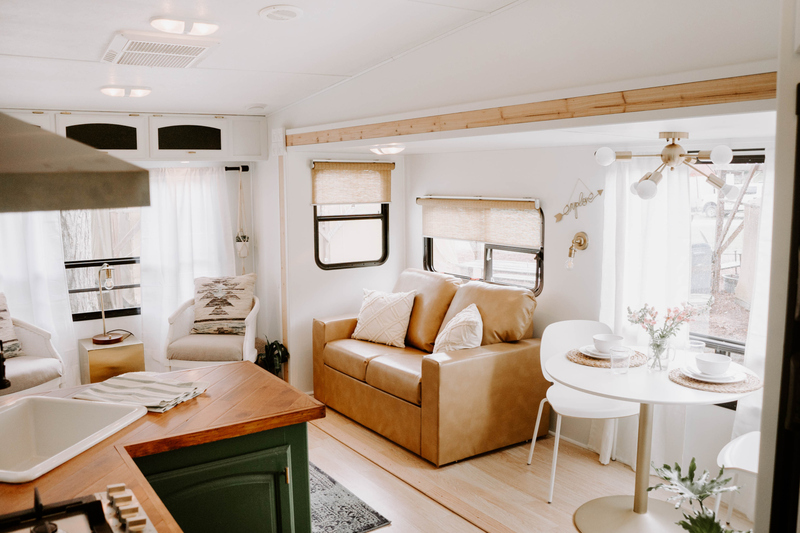 A leather love seat is book-ended by a seating nook and dining area, creating a comfortable seating area where the tiny home’s occupants can relax, socialize, or simply curl up with a good book. The old Keystone Cougar camper was in bad shape before the renovation took place. The interior was completely renovated to create a light-filled living space. A charming dinette set is in the corner of the living room. The kitchen and living space are the heart of the home. The couple updated the kitchen by painting the cupboard doors a vibrant farmhouse green. The bedroom is compact, but still big enough for a queen-sized bed. The couple installed as much storage as possible. 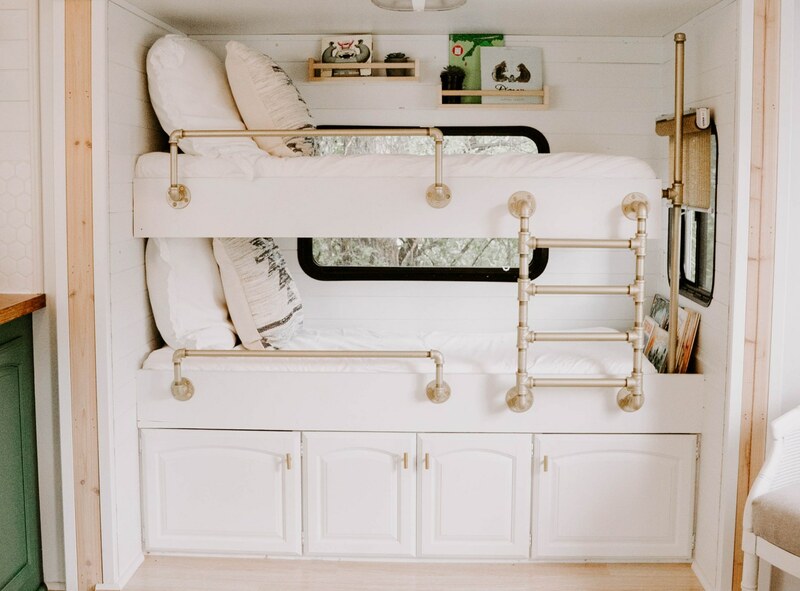 The renovation included installing a guest room with two bunk beds. 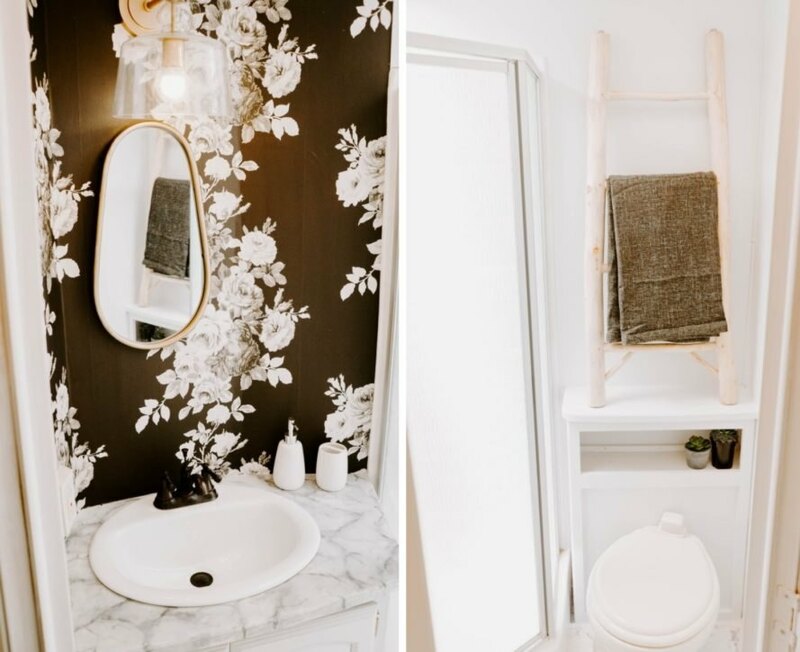 The bathroom is also quite small, but the white walls with flowery wallpaper make for a lovely space. The renovated camper is currently for sale. 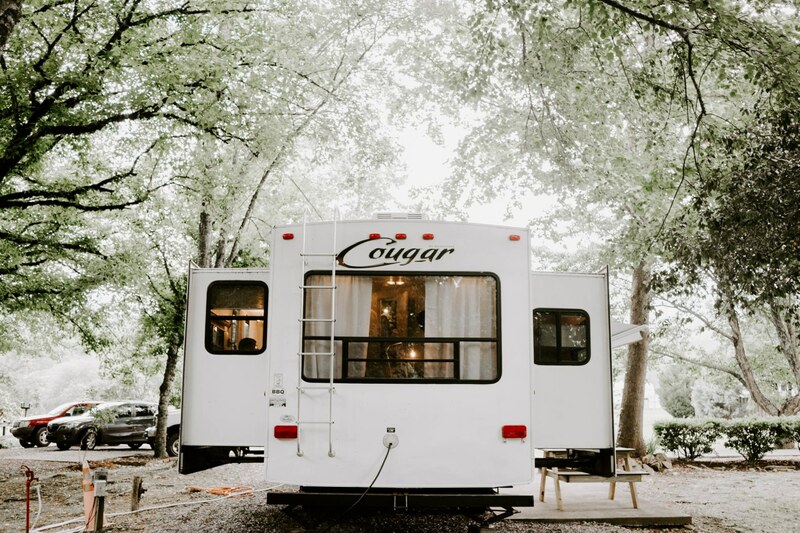 When Lauren Jones and her husband purchased a beat-up 2010 Keystone Cougar Camper, it was almost beyond repair. 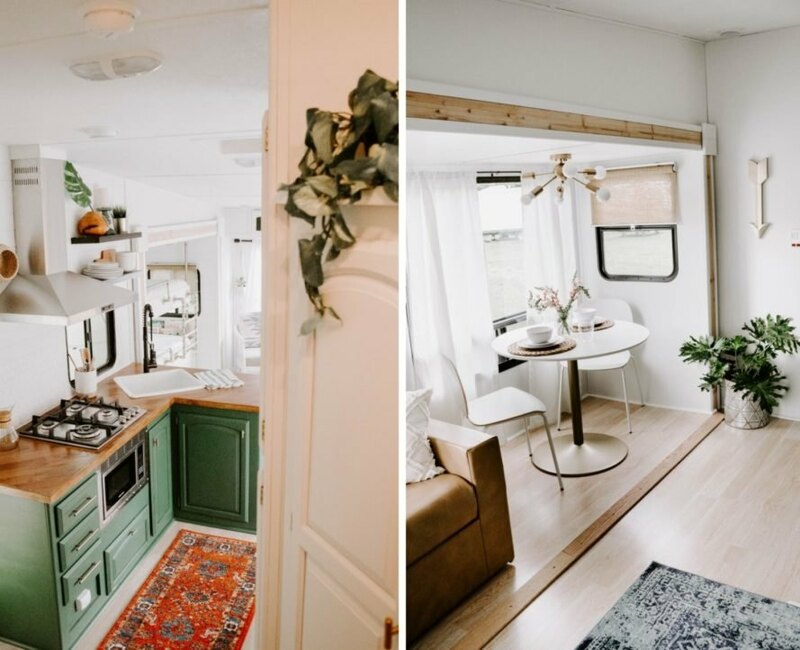 But the ambitious couple put on their DIY hats and painstakingly renovated the old beast into the Cougar Den - a gorgeous, light-filled tiny home on wheels with a shockingly sophisticated interior design.